Não consigo exportar para o Dropbox em mcb, só em xml. I love this app and recently upgraded to the paid version but I still cannot access my account online. I do not even get the option in the settings section to log in. 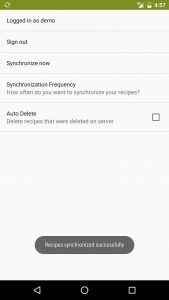 My Android device has approximately 80 recipes and I am trying to sync to my iPad mini and iPhone since the android is no longer in use. 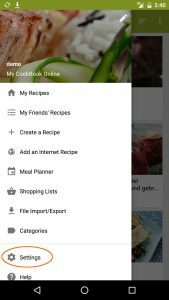 Am extremely frustrated that I still cannot access my recipes. Please help! Hi Amanda, yes you can have 50 recipes on your free online account. Maybe you have more than 50 on your Android device ? 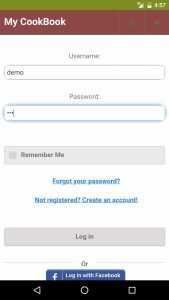 Hi, The synchronization does not work on my iOS app. 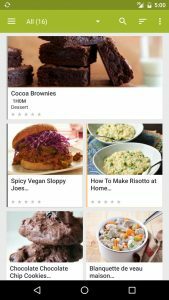 I had about 10 recipes in the app. I deleted all of them online and instead uploaded 5 new ones. Nothing happened in the app. I tried disconnecting my account from the app and reconnected. After reconnection ALL recipes were gone. 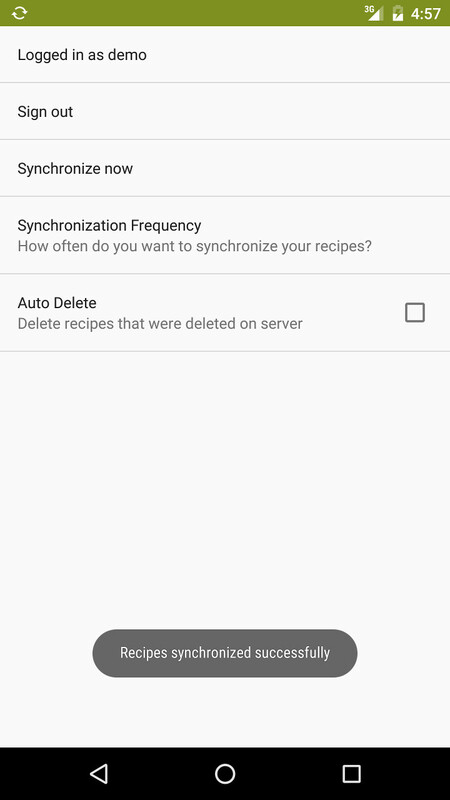 It is showing “synchronization is running…” But even when this is completed – no recipes in the app. I tried “import from digital cookbook” and uploaded the same file with the 5 recipes. They are successfully shown online. In the app still nothing. 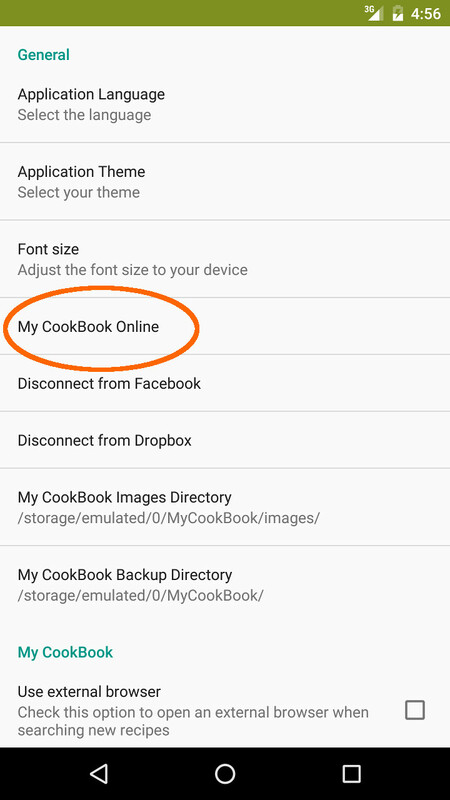 Hi Nic, could you contact us here https://mycookbook.zendesk.com/ and send us your username ? i’m interested in your Windows pc and android versions. (example : i have not internet connection in my kitchen or when i’m going out. 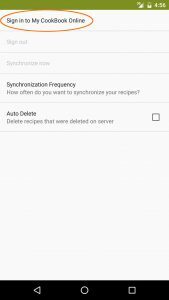 if i do a synchronization before, can i have my recipe on my tabs without internet ? and second question : what is the format extension of save file ? Hi Carole, yes you can use the android app without an internet connection. 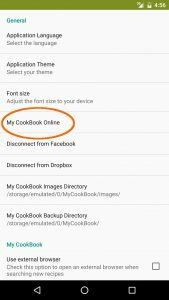 You can backup your recipes into .mcb (mycookbook zip archive), .xml, .mmf (meal master), .rk (rezkonv) and .html files. I don´t know about the problem is happening with the synchronization. I have an account but I don´t get log in. I fill with the e-mail about my count but appear the wrong message. I already reset my password then I received in my e-mail, but I don’t get the synchronization. Is there a solution? P.S. 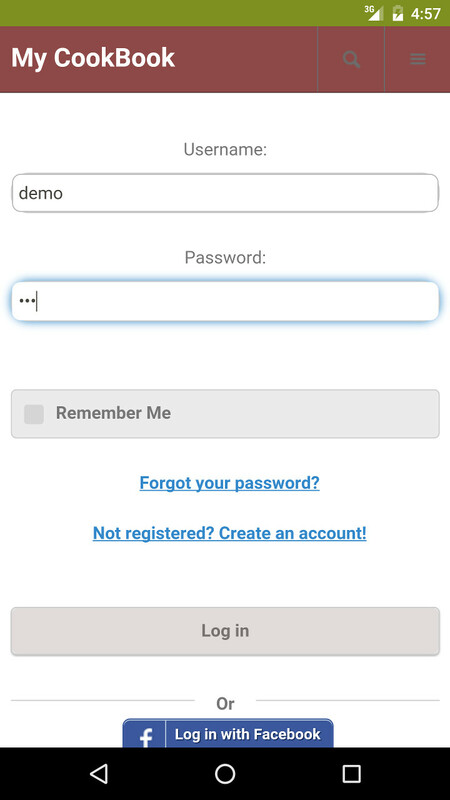 : I reset my password, but I never get the synchronization using the new password. Help me, please. 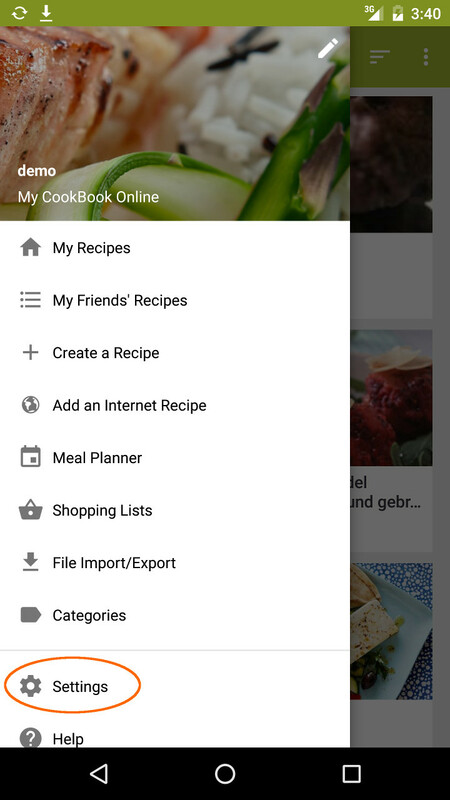 Do you have some issue when you are trying to import a recipe ? Is there a way to make the online version the ‘master’? 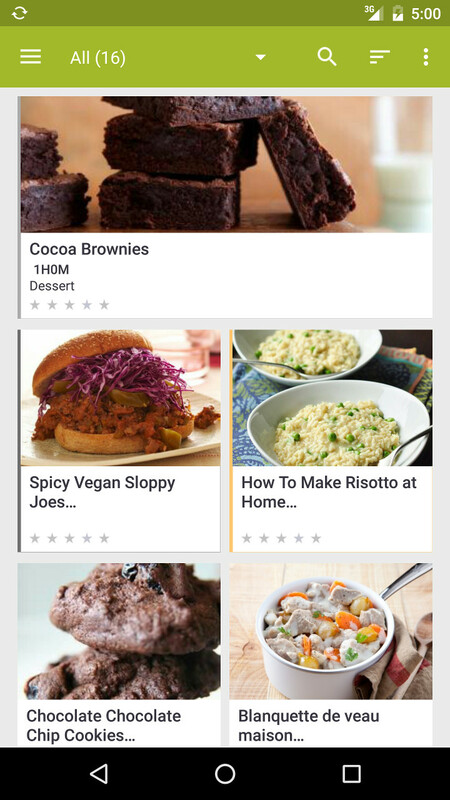 I would prefer to push edited recipes down to the android app rather than the other way around…? Hi, synchronization is done in both ways. 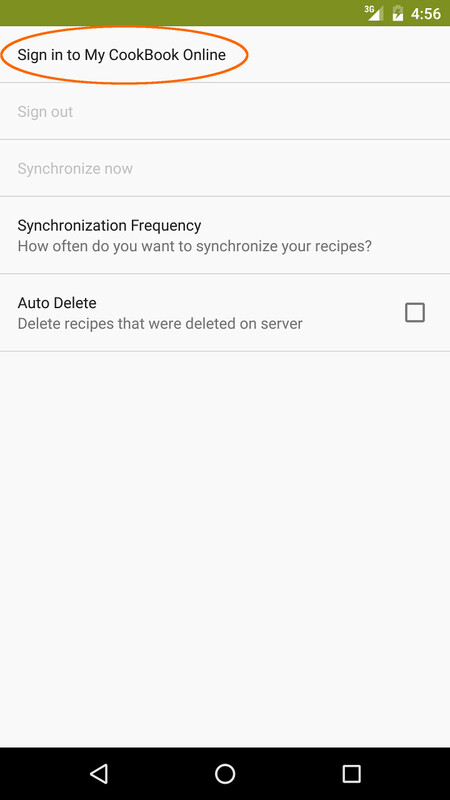 But first sync may take a long time if you have a lot of recipes. Thanks, this worked but I have ads on my kindle and I’ve on my computer I have paid for the premium version and should not be getting ads.